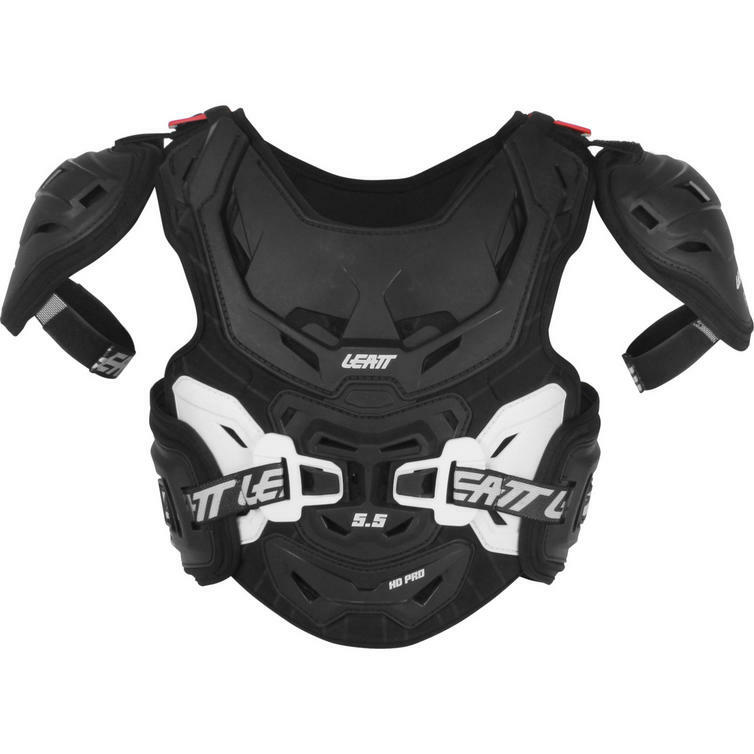 The Leatt 5.5 Pro HD Youth Chest Protector is part of the latest Leatt collection. The Leatt 5.5 Pro HD Youth Chest Protector offers hard shell protection that is reinforced with soft shell areas made of 3DF AirFit soft impact foam. Although this foam is soft and flexible in its natural state, it hardens immediately when subjected to impact during a crash, absorbing energy and providing excellent protection. This chest protector specifically designed and sized for junior riders offers CE tested and certified chest, back and shoulder impact protection. Thanks to the adjustable flank panels, it provides additional side protection. The 3D multi-layer, multi-plate and articulating design promises a comfortable, close fit and the recess areas in the back and front integrate with Leatt neck braces for your convenience. The 3DF AirFit ventilated impact foam, as well as the 36 ventilation slots in the chest protector, provide air flow to keep riders cool. 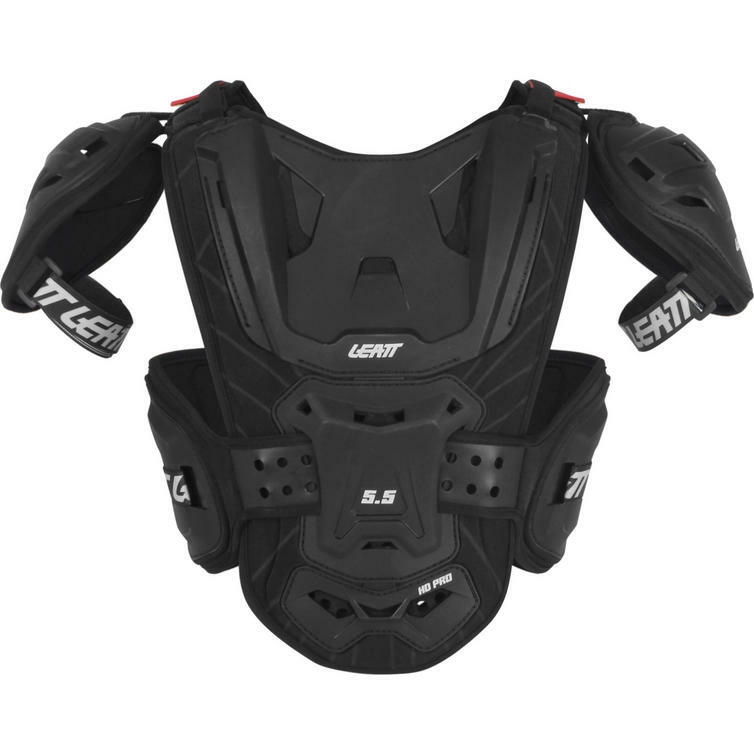 The 5.5 Pro HD Youth Chest Protector scores a total of 18 points in the Leatt protection rating system. View all Leatt Youth Chest Protectors. View all Youth Chest Protectors. Sizes are suitable for the following heights: 134 - 159cm | 4'5" ? 5'3"